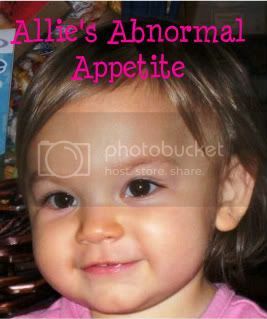 It has been a very long time since I have posted on here and A LOT has changed with Allie since then. The big news is, Allie is now tube-free! She got her tube removed in June 2015. We had an appointment to have it removed but it decided it wanted to come out early so it was a trip to the ER and surgery that day to have it removed. 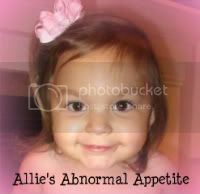 Allie's GI Doctor insisted that her stoma would close on it's own but after a month and a half, it was still leaking. We met with a surgeon and he stitched it shut. That did the trick - her button is now closed tight! Allie really likes having her tube out. The site is looking great and she has no soreness at all. As far as Allie's growth goes, her weight is at 39 pounds. Her doctor is happy with that because she is following her own growth curve. Her height was 43". Her growth curve for height has dropped so we were referred back to Endocrinology in Marshfield for a follow-up. It had been 2 years seen we seen them so we were due to check in anyway. Endocrinology ran a bunch of tests. They rechecked her for celiac, thyroid issues, hormone issues but everything came back normal. Basically they aren't sure why Allie isn't growing taller at a normal rate. Her Endocrinologist recommended we give it 6 months and see how her growth is. If she is not catching up at that point, he recommends we start her on growth hormones. From my research and talking to other families, people have had great success with growth hormones so I guess we will have to make that decision if we are faced with it in April. Overall Allie's health has been good. She fought off a Staph infection with the help of antibiotics several months ago. It was a little scary because the doc thought it could be MRSA. And just this past week, she had her front tooth pulled out because she developed an abscess in the gum line of that tooth. Allie always seems to get the "odd" things happen to her. She cries every time we go to the doctor now, even if it's just for a checkup. Poor peanut knows too much about doctors visits - it breaks my heart. All in all, she is doing wonderful and loving 2nd grade! Chloe is doing great in 4th grade also. Hard to believe the girls are old enough to be in 4th and 2nd grade. Time goes bye too fast! This is what her stoma looked like the day after tube removal. However it was leaking a fair amount. Allie scared for the in office procedure to stitch up her stoma because it was still leaking daily. A day after her stoma was cauterized and stitched closed. 5 days after her stoma was cauterized and stitched closed. 10 days - stitches were removed and it was looking good. Allie's crazy abscess last week. Dentist pulled her front tooth on Friday and it's looking a TON better! Chloe and Allie at Pictured Rocks in the U.P.